EventHi- Wheelhouse Dispensary "Grand Opening" Party! Wheelhouse Dispensary "Grand Opening" Party! 521 W. Channel Islands Blvd. 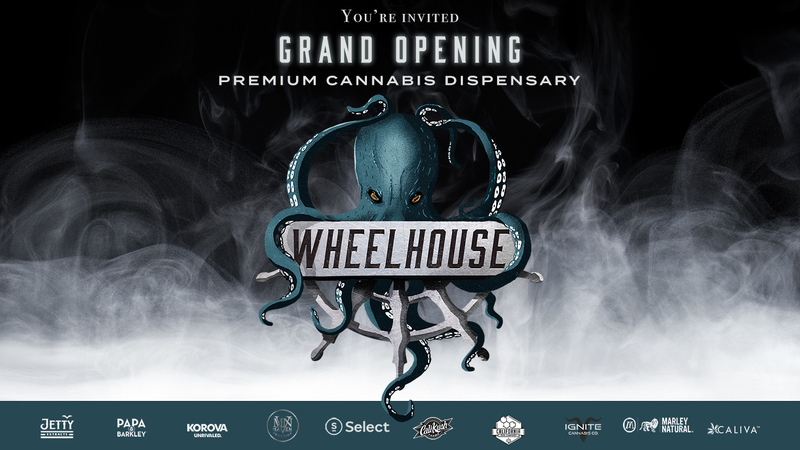 Join us for the Grand Opening of: "Wheelhouse" Premium Cannabis Dispensary! Wheelhouse, a 3,000 sqft buildout, was designed to bring consumers and new users alike to experience cannabis in a professional and trustworthy way. All proceeds for the day from cannabis sales will be donated to the local police and REACH program. There will be food, music, entertainment and a whole lotta of cannabis to talk about and learn from! Meet & Greet your favorite cannabis brands: Cali Kush Farms, Papa & Barkley, Cali Dab Co, Select, Maven, Jetty Extracts, Indus Distro, Ignite, Marley Naturals, Caliva & much more! Brands will have booths and special promotions going on all day! Part of the event includes a ribbon cutting ceremony. Vendors: The Habit, Epic Taco, Mister Softee & more! Entertainers: Comedian Phil Medina and more!